Card games have been around for a long time. 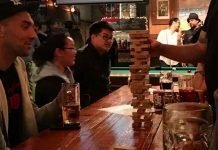 Though the card games of days gone by didn’t have the customized suits and decks that you see today, many of the most traditional games are still the best, particularly when you’re looking for a quick way to relax at your local bar. With a pack of cards in your hand and a team of friends beside you, the bar can be the perfect place to wind down after a long week at work. Just keep in mind that if you’re looking for relaxation, you should probably stick to games like solitaire, rather than blackjack. Card games are popular because they’re so versatile. 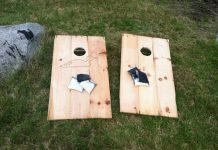 Though cards have been around since the 1400s according to some estimations, they continue to be a staple of many bar games today because you can create a game that’s as competitive or simple as you like. What’s more, cards also have the benefits of being portable. Once you’re done with one pub, you can slip your deck back into your pocket and head to the next bar. 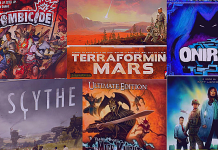 Here are some of the best card games that all fun-lovers should know about. Let’s start with a simple game that’s fun to play with people of all ages. Knockout whist is a popular British card game suitable for between 2 and 7 players. You’ll need a single 52-card deck to play. In Knockout whist, the Ace is a high number. To play Knockout Whist, start by dealing 7 cards to each player, beginning with the person on your list. The next card after the deal is turned face-up on the table, and it becomes the “trump” suit. The player on the left-hand side of the dealer must place the first card, and the rest of your group will need to follow his or her lead if they can. The highest “trump” (suit card) in the game wins the “trick,” and if no-one plays a trump then the highest card value (number) of the suit that the first player leads with will be the winner. The winner in any round leads the upcoming trick. 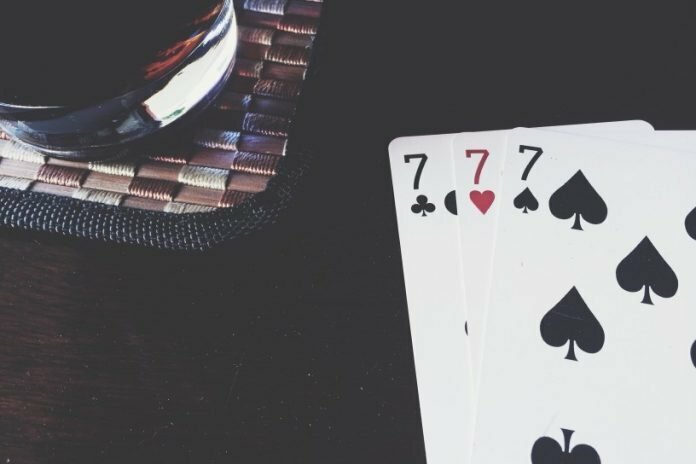 After your group has played all seven of their cards, players that haven’t achieved any tricks are removed from the game until just one person is remaining. Learn more about British Whist card games. As card games go, it’s safe to say that Texas Hold’Em or “Poker” is probably one of the best-known of all. There’s a ton of info online about how to play. Just make sure you have cards, chips (or something else to bet with) and pick a dealer to start the game. But first, you should know how to play. Here’s a good beginner’s guide. Of course, if you’re poker in a bar, be sure to understand your local ordinances. For the most part, these would prohibit playing for anything of value, whether as bets or prize money. So, just play for fun. Palace is a card game that you can play with up to 6 people at a time. To start the game, you’ll need to give every player in your group nine cards. Three of these cards are dealt face-down in front of the player; three cards are placed face-up; and the remaining three cards become the hand of the person who’s playing. The first person who lays a three or the lowest card possible in the group is the person who starts the round. In turn, everyone in the group can place a card of either equal or higher value on top of the discard pile. Cards which share the same value can be placed together. For instance, four of the same suit will clear the discard pile completely, as will playing any 10s. Players continue to draw from the stock of remaining cards in the deck to ensure that they always have a three-card hand. When the stock is depleted, the player will be able to play their face-up cards and turn over their face-down cards if necessary. The idea is that the person who gets rid of their cards the fastest is the winner. Hearts is a game meant for groups of at least 3 people. The object of the game is to be the person with the “lowest” score when the game is over. For a chance to deal, the players cut the cards searching for the lowest number; then the whole pack is dealt to each player in a counter-clockwise motion. After every card is dealt, each player will select 3 cards that they can pass to their opponents. The player to the left of the dealer plays first in hearts, and he or she will win a trick when they play the highest card of the suit that’s led. Hearts are broken when someone lacks a card in the suit that’s being used, so they add a heart to the mix instead. Hearts is usually played to up to 100 points, with the person who gets the 100 being the loser. 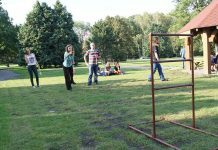 Hearts has been around for a long time, with origins that go all the way back to a 1600s game that was played in France called Reversis. You don’t need a lot of people to have a good time with a deck of cards, as the game “Crazy Eights” shows us. 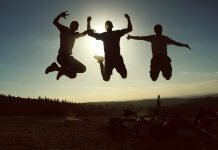 The game can be played with up to 7 people, but it’s best when you only have two people at a time. Each player in a game receives five cards, or 7 cards if there’s only two of you, and the rest of the cards are put on the table, face down. The remaining cards are the “stock,” and there will be one card that’s placed face-up as a starting card. The first player needs to simply lay a card on the starting card that matches either its number or suit. If the player can’t do this, then they need to draw a card from the stock. When the stock is gone, then the player who can’t lay a card needs to pass. In a game of eights, eights are “wild,” which means that you can play them at any time, regardless of the suit or rank that came before. The idea of Eights is that you earn as many points as possible, as quickly as possible. The first person to a score of 100 points wins. Face cards are worth 10, Aces are worth 1, and eights score 50! 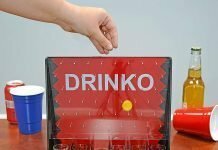 Finally, if you’re sitting at the bar waiting for someone to turn up, or you’re just winding down by yourself for a while, here’s a card game that you can play all by yourself. Solitaire is a one-player game that can be played virtually anywhere. 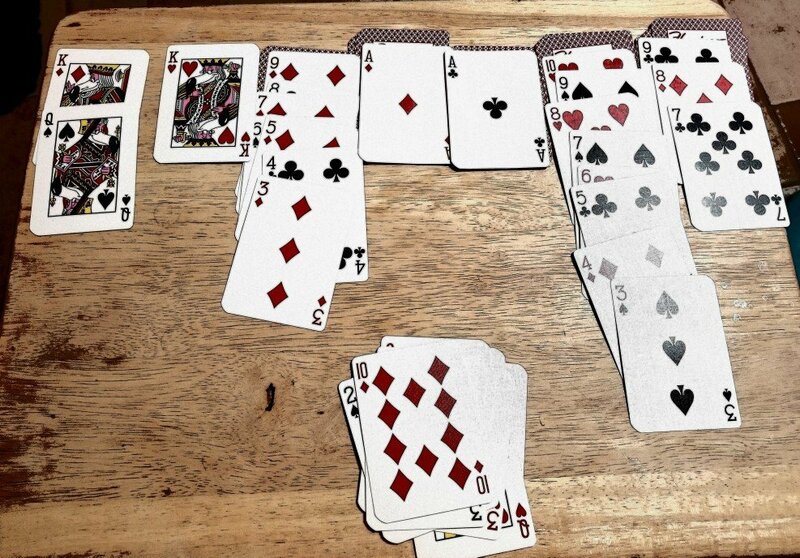 The game aims to create four piles of cards in each of the available suits, that go from King, all the way down to Ace. In Solitaire, the Ace counts as a 1. To play a game of Solitaire, you’ll need to put one card face up, and place six face-down cards beside it. After that, place a signle card on top of the first card, face up, but slightly lower than the face down card. At the end of the set-up, you should have 7 rows of cards, with the biggest row featuring 7 cards, and the smallest with only 1 card. Put the remaining cards in a separate pile and leave a space at the top of the table for four piles of cards. Starting with an Ace as the lowest number, you can begin to build your four piles up in each different suit using the cards that are showing on the table. Every time you remove a card from one of your seven rows to place it at the top of the table, remove flip the card underneath face-up until there are no cards left. There you have it! 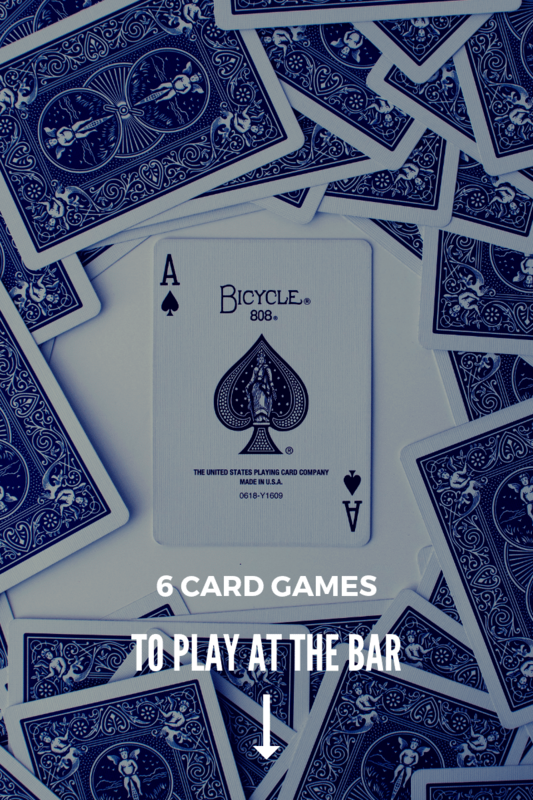 6 great card games to play at the bar, whether you’re alone, or with a group. Who knew that something as simple as a deck of cards could be so versatile?